In an effort to help streamline the tax return filing process, the IRS recently announced that it will begin implementing a plan to streamline 1040 forms for the 2019 tax season. The changes are expected to cut the document in half and make it much easier for users to understand and complete. For more information about the anticipated changes to the 1040 form or another tax-related matter, please contact a tax return preparation attorney who is well-versed in federal tax return filing procedures and can address your concerns. The total number of exemptions being claimed. Any other type of income. At this point, taxpayers must account for any credits, including the foreign tax credit, the education credit, the credit for child care, and the residential energy credit. This form, although only two pages in length, requires complicated calculations, as well as the submission of a significant amount of information. According to the IRS, the new version of the 1040 to be released in 2019 will make tax filing much easier, as it will be condensed into a single page. Furthermore, all taxpayers will be able to use the same form, a practice that is in stark contrast to the current method, which involves three different types of 1040 forms. The new 1040 form will consolidate these forms into a single cohesive version. Although taxpayers will be permitted to submit additional schedules with their returns, those with straightforward, uncomplicated tax situations will only need to file a single form. These changes are expected to make it easier for taxpayers to submit their returns on time, to avoid penalties, and to ensure that they receive the correct amount when it comes to issuing refunds. If you live in Daytona Beach, Orlando, Jacksonville, Tampa, or Miami and have questions or concerns about a tax return, whether filed this year or last year, you need the advice of an experienced attorney. 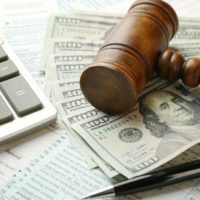 Please call dedicated tax preparation attorney Ronald Cutler, P.A. at 386-490-9949 for assistance with your legal questions. We understand that our clients are busy, so if you are unable to meet during the week, please call today and we’ll schedule a weekend meeting at your earliest convenience.